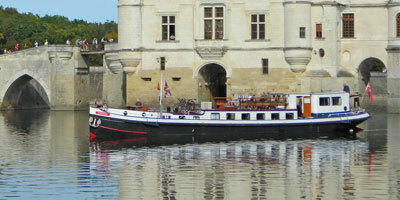 We offer bike and barge tours on a wide selection of hotel barges. All cycling routes offer a relaxing and interesting cycling experience, with something for every cyclist to enjoy, quaint villages, wonderful scenery and of course, your very own floating luxury hotel to return to each day! Your itinerary will be fully customisable so you can be sure the distances will be right for you. 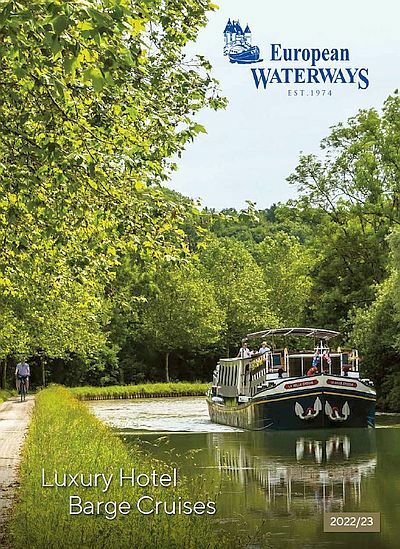 There is a small supplement to be paid on our bike and barge tours which we use to upgrade all bikes on board and hire a specialist cycling tour guide, an expert in both cycling and the areas you ride through. Your chef will even drive your lunch to a point on your route to prevent you having to return to the barge to eat. 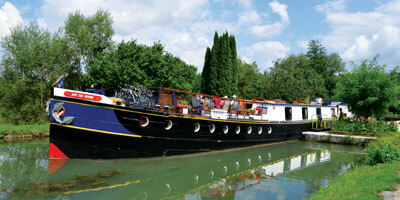 A bike and barge tour can be booked any time by a group chartering the barge. If you are booking just one or two cabins and you wish to join other like-minded people then we may have a pre-arranged departure date for this purpose. If our date does not fit in with your plans then we can waitlist your request to see whether anyone else is interested in a cycling cruise on that date. For those passengers who would like to be a little more adventurous, a number of our hotel barges now offer a “Biking Plus” option, which includes pre – packed backpacks and pre – planned cycle routes that will allow you to best experience the fascinating villages and sprawling countryside that can be found along the canals. For more information on Biking Plus please see our Barging and Biking page here.